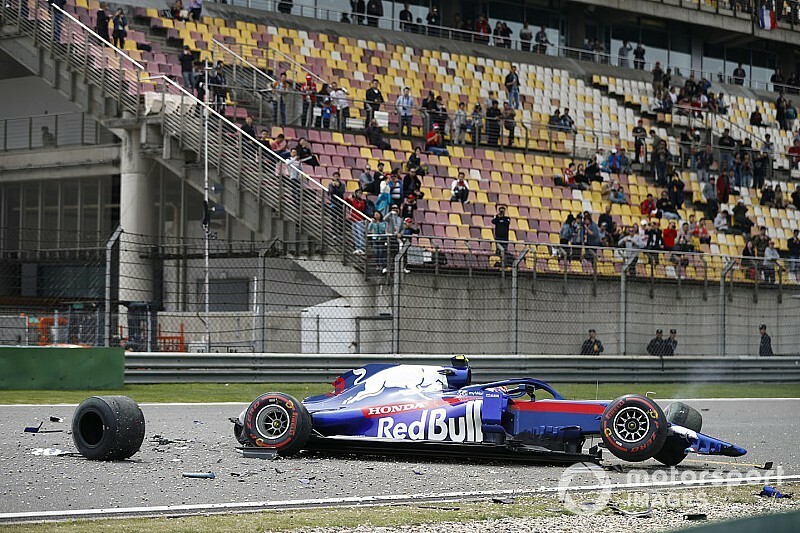 Practice was red-flagged with five minutes remaining when Alexander Albon ran wide at the exit of the final corner and smote his Toro Rosso against the barrier. Honours were split in Friday practice as Ferrari’s Sebastian Vettel went fastest in the first session and Bottas topped the second, while analysis of long-run times suggested the teams were closely matched on potential race pace. But final practice ended with question marks still hanging over the teams’ relative performance because the stoppage interrupted the final runs. After the initial qualifying-simulation runs Vettel was on top with an impressive 1m33.222s, 0.734s ahead of Lewis Hamilton, who was fractionally faster than Bottas, but the Ferrari was running on Pirelli’s soft compound while both Mercedes were on the mediums. Despite being quickest of all through the second sector, Charles Leclerc was only fourth at this point, nearly eighth tenths off his teammate’s pace. With 10 minutes remaining Leclerc attempted a second run but had only improved to 1m33.248s, third-quickest behind Vettel, when the session stopped. Red Bull sat out half the 60-minute session before mobilising. Pierre Gasly was first to hit the track but his first run, on medium tyres, was scruffy in places and left him outside the top 10. He never got to set a timed lap on soft tyres. Max Verstappen’s first run of 1m34.447s, on soft tyres, was good enough for fifth but a yawning 1.225s away from Vettel’s initial benchmark. His attempts to improve were scuppered by the red flag and he ended the session seventh, usurped by Nico Hulkenberg’s Renault and Kimi Raikkonen’s Alfa Romeo - both getting final soft-tyred runs in before the red flag. 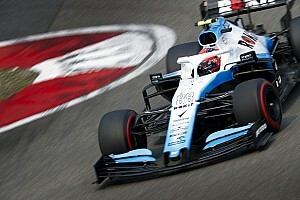 When the leading group emerged for their second runs with 10 minutes to go, Bottas leapt to the top of the timesheet on soft tyres with a 1m32.830s, faster than Vettel by 0.392s. The stoppage then put paid to Vettel’s attempts to improve his earlier time, and a scruffy lap by Hamilton at the beginning of his second run left the other Mercedes fourth fastest. Albon and Daniil Kvyat had been sixth and seventh for Toro Rosso after the first qualifying simulations on soft tyres and separated by just a tenth. But they were bumped down the order to ninth and 10th in the final reckoning and may even have slumped further had other midfield runners been able to make final runs. 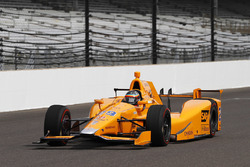 McLaren’s Carlos Sainz was one midfielder who got a second run in before the red flag and he ended the session eighth. Teammate Lando Norris also briefly figured in the top 10 for McLaren but his second run was compromised by an off at the final corner. Both Racing Points were in the top 10 after the first runs but Sergio Perez and Lance Stroll, like Renault’s Daniel Ricciardo, were also stymied by the early stoppage. The two Alfa Romeos came close to having a contretemps on the back straight shortly after the half-way mark, after which Raikkonen suggested teammate Antonio Giovinazzi had deliberately moved over on him. Haas drivers Romain Grosjean and Kevin Magnussen languished at the bottom of the timesheets with only the Williams for company for the balance of the session, courtesy of middling-paced initial efforts on medium tyres. The red flag also cost them the opportunity of moving upwards.